2. Add about 2 inches of water to a large pot and bring to a boil. Reduce heat to low and add in the sweet peppers. Cover and cook for about 4-5 minutes until they are slightly soft. Remove peppers from pot and set aside to cool. 3. Pour 2 ½ cups broth and the Freekeh into a sauce pan and bring to a boil for about a minute. Reduce heat to medium. Stir in tomato paste, onion, chipotle powder and garlic. Cover and simmer for about 25 minutes until the Freekeh is tender. 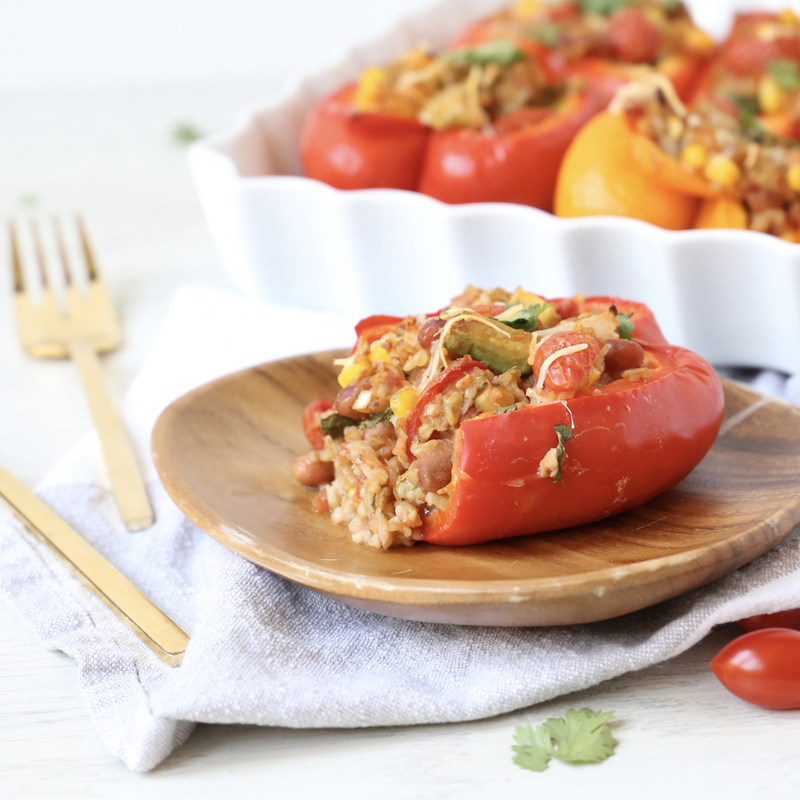 In a large bowl, combine Freekeh with remaining ingredients except the steamed peppers, stir and set aside. 4. Place the peppers in a 9x12-inch casserole dish. With a large spoon, carefully fill the peppers with Freekeh mixture. The contents can come up above the edge of the pepper. Pour about ¼ inch of water in the dish and place in preheated oven. Cook for about 30 minutes. 5. Optional: if you are topping peppers with grated cheese, add cheese after the peppers have been in the oven for about 20 minutes. Sprinkle cheese on and cook for another 10 minutes.